That’s right, we have implemented Canned responses into a work coordination tool. 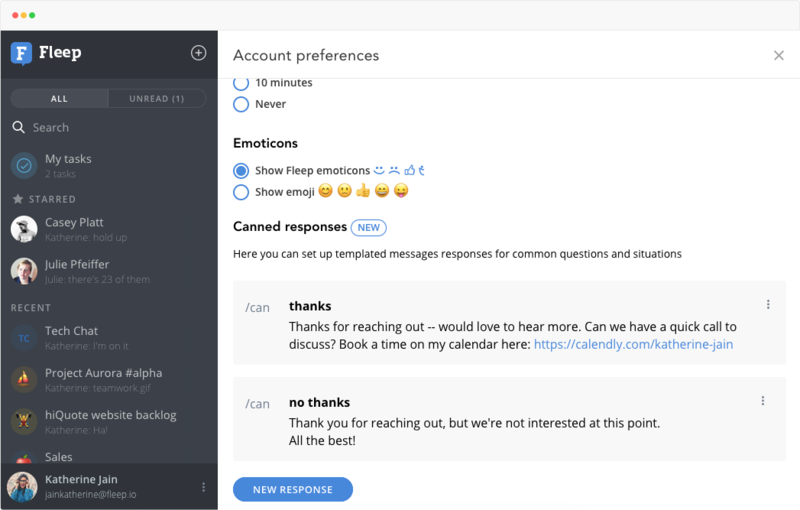 Why would you want to use Canned responses in Fleep? And how can you use them? Canned responses in Fleep — why? Canned responses are predetermined responses to common questions. They are often used in different forms of communication, perhaps most commonly in email communication. Often, canned responses are also used in customer support tools to provide answers for frequently asked questions. So, why did we add canned responses to Fleep? First and foremost, canned responses are useful for those of you who send and receive emails in Fleep. Using canned responses for common requests that come in via email saves your time. Even more, it can help you make better and quicker decisions by removing the friction of writing every response from scratch. Additionally, we realized pretty quickly that canned responses can be used in team communication as well. Canned responses in Fleep work with the /can command, followed by the name you give for the Canned response. So, for example, if you receive a lot of incoming requests via email — meeting requests, partnerships, sales emails — you may want to set up two different canned responses, “thanks” and “no thanks”. With a little bit of upfront time investment into this, you can put together a library of canned responses for your most common situations. Note that you can create up to 20 canned responses in Fleep. 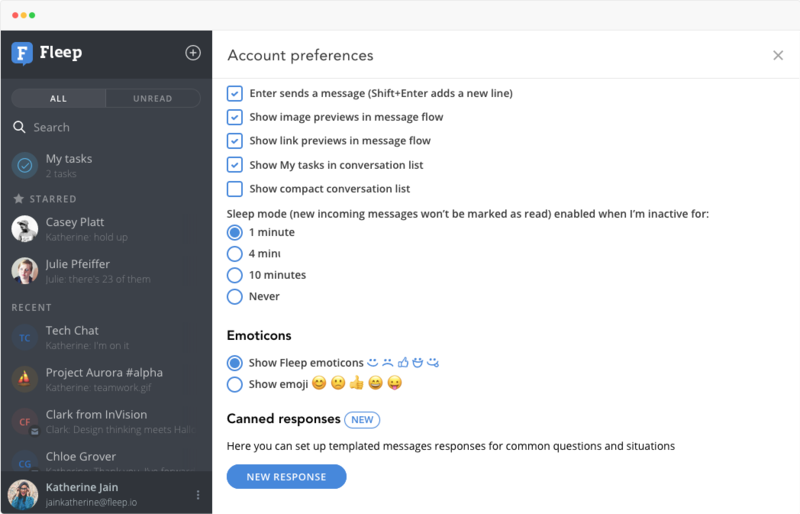 To use the canned responses you have set up, simply start your message with /can and choose a canned response from the popup menu with the tab or enter key, or by clicking on it in the menu. The canned response will then appear in the message entry area just as if you had written it. Canned responses in a team messenger? Canned responses are commonly used in email clients and customer-facing business messengers — that is, in situations where there are usually a lot of similar incoming requests or questions. 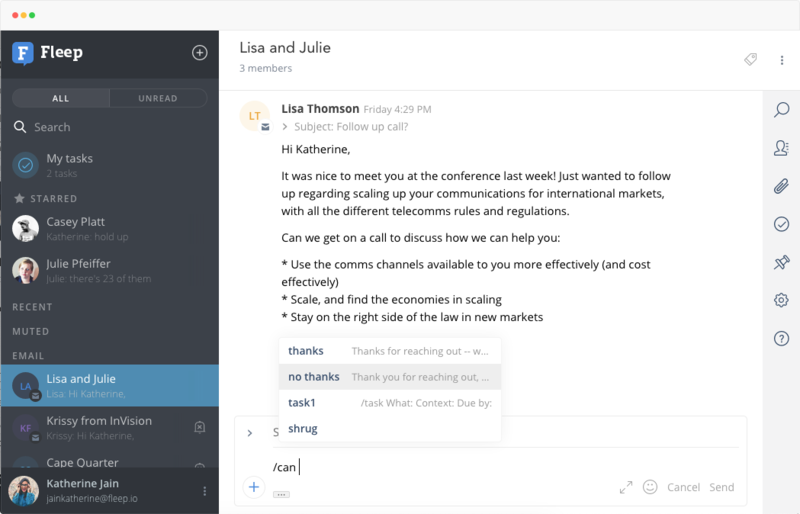 While the canned responses in Fleep are most useful to those sending and receiving emails in Fleep, canned responses can also be used in team messaging. For example, if you use specific formatting for your tasks in Fleep, you can use canned responses to create a template for your tasks. Or you can set up some constructive and/or fun responses like “have you tried turning it off and on again” or “can’t reproduce the issue, works fine for me” (especially handy for software teams). If you wish, you can also save your favorite gifs as canned responses — simply drag and drop the gif file into the canned response when you’re creating it. 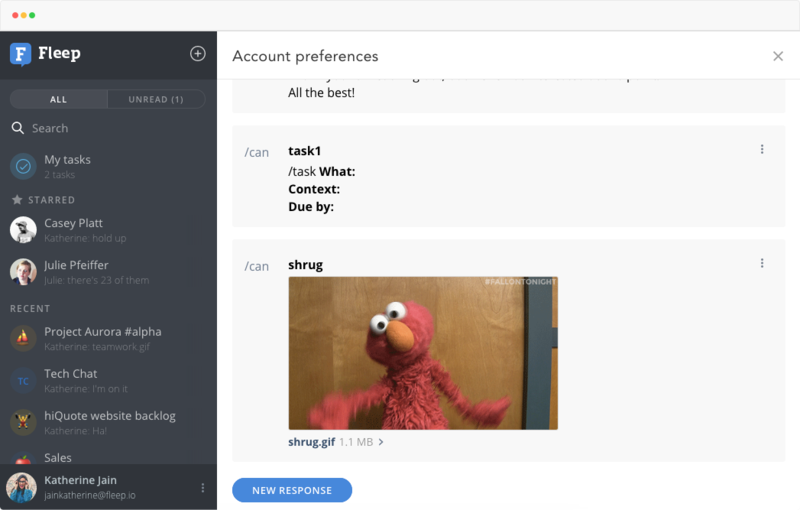 Currently, canned responses are only available in the desktop version of Fleep. Let us know if you’d like to use them on the mobile apps as well! We hope you will make the most of Canned responses in Fleep and find cool creative ways to use them. Do let us know what you think via support@fleep.io. Let’s also stay in touch through our social media channels. We’re on Twitter, Facebook and LinkedIn.